The Metropolitan Andrey Sheptytsky Institute of Eastern Christian Studies is a centre of higher learning, research, ecumenical understanding and prayer. It operates as an autonomous academic unit of the Faculty of Theology of the University of St. Michael’s College (USMC) in the University of Toronto. Based in Windle House at the heart of the USMC campus, the Institute specializes in the theology, spirituality, liturgy, history, and ecclesial polity of the Eastern Christian Churches, both Orthodox and Catholic. The Institute focuses on all four families of Eastern Churches—Eastern Orthodox, Pre-Chalcedonian, Assyrian, and Eastern Catholic—with a strong but non-exclusive emphasis on the tradition of the Church of Kyiv. The Sheptytsky Institute’s current director is Father Peter Galadza. As a centre of higher learning, the Institute is committed to academic excellence in Eastern Christian Theology and related disciplines. As a centre of research, the Institute is committed to scholarship and publication in the various fields of Eastern Christian Studies, cooperating with other educational institutions, learned societies, and individual scholars. 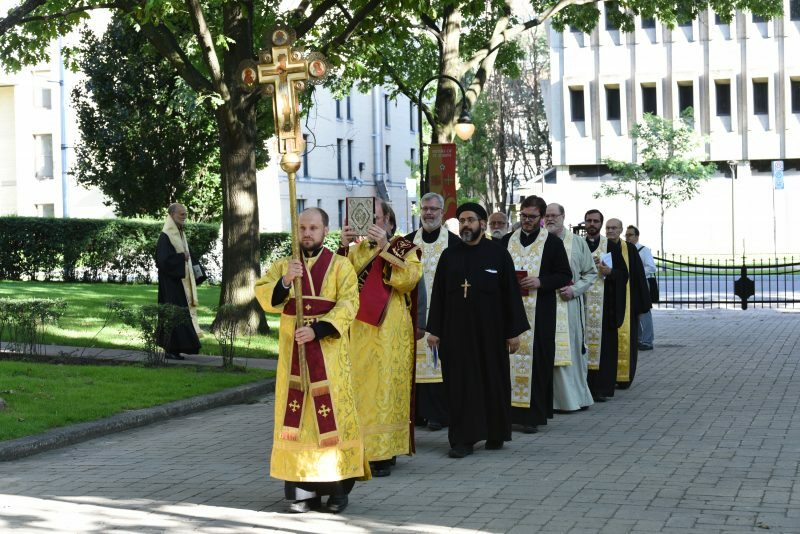 As a centre of ecumenical understanding, the Institute is committed to fostering respectful and fruitful encounter among the various Eastern Christian Churches (Orthodox and Catholic) and between Eastern and Western Christians. As a centre of prayer, the Institute is dedicated to integrating academic study and the worship of the Triune God: Father, Son, and Holy Spirit. In dialogue with contemporary societies, the Institute aims to communicate the power of Christian faith and living tradition, so that all may share in the very life of God. The Institute achieves its mission by forming leaders and transforming lives. The Sheptytsky Institute offers primarily graduate university degree programs in Eastern Christian Studies. At this level, there are two professional (pastorally oriented) basic degrees: M.Div. and M.T.S., with an emphasis on Eastern Christianity, as well as two research-oriented advanced degrees: the M.A. and the Ph.D. Sheptytsky Institute professors teach in four general areas of specialization: Spirituality-Doctrine, Liturgical Studies, Historical Studies, and Ecumenism and Eastern Christianity. Some courses are offered online as distance education through videoconference. Students of the Sheptytsky Institute include university students studying at USMC and U of T as well as clergy, church leaders and lay individuals from North America, Ukraine, and around the world. One of its most notable former students is Patriarch Sviatoslav (Shevchuk) of Ukraine, who is the Institute’s international patron. A central aspect of the Sheptytsky Institute is its chapel of St. Sophia and Her Daughters Faith, Hope and Love. This Byzantine rite chapel is located on the ground floor of Elmsley Hall on the USMC campus. Liturgical worship grounds the academic courses and programs that the Sheptytsky Institute offers. In this space, members of the university community—students, faculty and staff—as well as individuals in the surrounding area can participate in the liturgical life of the Eastern Churches; all are welcome to the chapel’s regularly scheduled services. 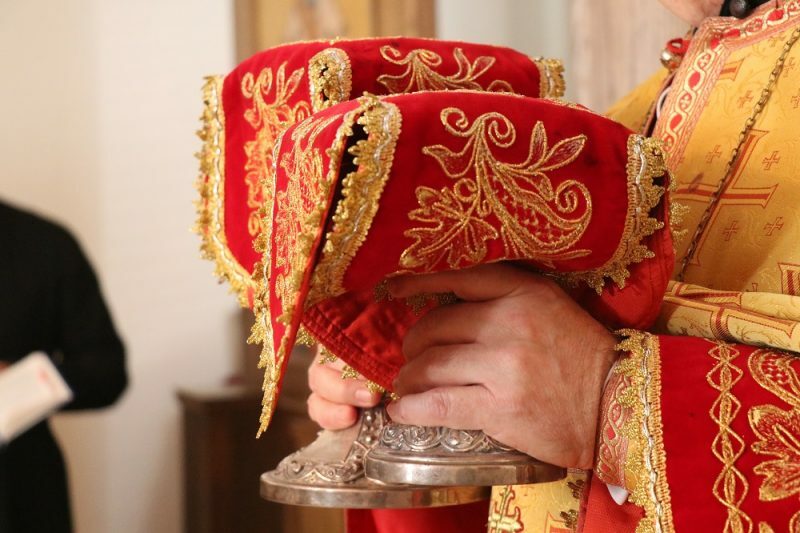 During the academic year, these services include matins, the hours, vespers, and Divine Liturgies, as well as occasional paraliturgical services. Please find a schedule of chapel services in the “Resources” section below. The Sheptytsky Institute publishes a peer-reviewed journal, Logos: A Journal of Eastern Christian Studies, which is Canada’s only double-blind peer-reviewed journal in the field. This tri-lingual (English, French, Ukrainian) theological review focuses on Eastern Christian Studies, emphasizing both Orthodox and Catholic Eastern Churches with a special, but not exclusive, interest in the Church of Kyiv. Logos is edited by an editorial committee. Its editorial board includes members of the editorial committee and outside members chosen from various constituencies, together with internationally renowned specialists in Eastern Christian Studies. The journal was founded in 1950 by the late Metropolitan Maxim Hermaniuk and was published in Yorkton, Saskatchewan until 1983. The new series of Logos was re-established in 1993 by Fr. Andriy Chirovsky, beginning with Vol. 34. It was published in Ottawa to 2016, and from 2017 in Toronto. For more information about Logos and editorial submissions/guidelines and subscriptions, please contact 416-926-7133 or visit the Logos website. To Write an Icon: A Step-by-Step. Video-course on a six-set DVD. For more information about these and other MASI publications or to purchase them online, click here. The Sheptysky Study Days are multi-day conferences for members of the general public—adults and youth alike—who want to deepen their knowledge of Eastern Christian theology and spirituality. For those concentrating on academic studies, there is a possibility of earning academic credits by also attending the summer intensive program. The Sheptytsky Institute has offered intensive summer programs since 1987. Usually there are two courses offered over a two- or three-week period in July, usually immediately following the Institute’s Study Days. In July 2018, two courses will be offered on the University of St. Michael’s College campus. Fr. Peter Galadza will teach SMT 3531/6531 HS, “The Liturgical Theology of Alexander Schmemann (1921-1983)”, Monday through Friday, July 3-13, 2:00-5:00 p.m. Fr. Andriy Chirovsky will teach “Explorations in Eastern Christian Spirituality”, Mondays, Wednesdays and Fridays, July 3-20, 6:00-9:00 p.m. This course can be taken on campus or through videoconference. Several income streams support the Sheptytsky Institute. USMC shares tuition income with the Institute and provides infrastructure support (such as the use of Windle House and chapel space in Elmsley Hall, administrative support, basic office equipment, and building maintenance). Salaries are covered by donations from the Metropolitan Andrey Sheptytsky Institute Foundation (MASIF), which holds the Institute’s endowments. A registered charity in Canada and a 501(c)3 in the USA, the Foundation makes donations to help USMC with the Institute’s annual budget. The Sheptytsky Institute’s academic staff are employed by the USMC. The Foundation also invested years ago in the Ontario Student Opportunity Trust Fund; thus, there are some monies set aside for scholarships for Ontario residents wishing to study at the Sheptytsky Institute. The Institute also has a small revenue stream through some of its publications. The offices, seminar room, student lounge and reading rooms of the Institute are all located in historic Windle House, an 1897 Victorian mansion at 5 Elmsley Place, next to Brennan Hall and St. Basil’s Church. How Can I Support the Sheptytsky Institute? Volunteer: Interested in getting involved with our important work? Email sheptytsky@utoronto.ca. Connect: Subscribe to our newsletter by sending us a request to sheptytsky@utoronto.ca. Pray: Join the Metr. Andrey Sheptytsky Prayer Fellowship or take part in the liturgical life at our chapel.